Celebrating National Winnie-the-Pooh Day is an opportunity to celebrate your inner child. When you hear the string of words “Winnie the Pooh,” it doesn’t matter how old you are, in which part of the country or the world you grew up, and what your favorite hobbies were as a child. When you hear Winnie the Pooh, you will likely automatically smile, begin thinking of honey and red t-shirts, and will inevitably almost taste the sweetness of that teddy bear. First published almost a hundred (!) years ago, in 1924, A.A. Milne based his book on his son’s toys. His son, Christopher Robin (yes, the same Christopher Robin—this character was based on Milne’s son), had a teddy bear called Winnie Pooh, as well as other fantastic toys. Those toys included Piglet, Eeyore, Kanga, Roo and Tigger. The forest where these friendly characters have their adventures is based on a forest in East Essex in England, not far from Milne’s home. Over the years, Winnie went through a journey of his first appearance in color, then being merchandised, through becoming owned by Disney. The spirit of that steadfast, warm, fun-loving teddy bear, however, remained pretty much the same. For the children inside of us, this masterpiece brings some of our own qualities as well as some that we have potentially lost or have not yet gained. For example, Pooh does not compromise his kindness even in the face of Eeyore’s repeated attempts to distance him—Pooh continues to visit him and even insists on giving him a birthday present. 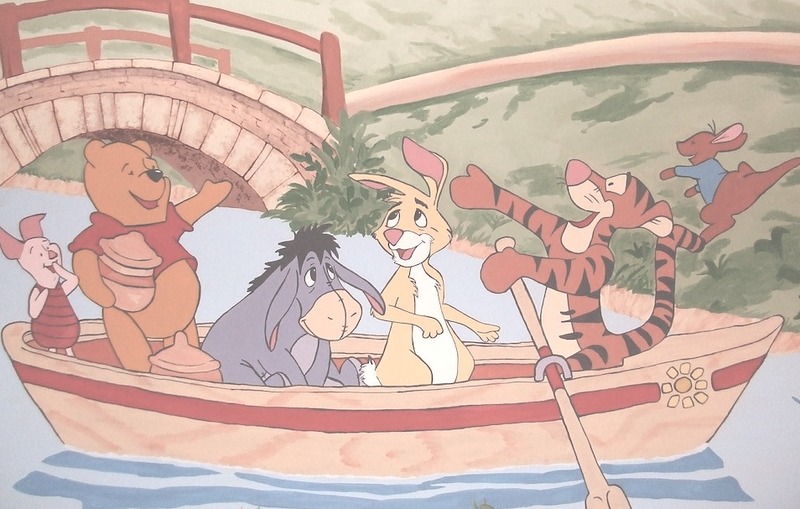 Another beautiful quality is Pooh’s sense of community—he makes sure to spend time with his closest friends, Christopher Robin and Piglet, but also visits all the others, like Owl, Tigger, and the rest of the gang. As this last quote suggests, another remarkable ability that Pooh holds is his willingness to love with all his heart. He loves himself and his friends and every one of his days to the fullest of his little bear heart, and isn’t ashamed or scared by it. How can your inner child celebrate National Winnie-the-Pooh Day? This Friday, January 18th, is National Winnie-the-Pooh Day. It’s an opportunity to honor Pooh’s life and journey, and to pay homage to Milne’s remarkable creativity to use real-life toys and a forest setting to bring to life so many emotions inside of us. Think of someone in your life of whom you are reminded when you read this: “We’ll be friends forever, won’t we, Pooh?” Asked Piglet. “Even longer,” Pooh answered. And tell that person. For those of us blessed to have someone who we know we’d love for longer than forever, it’s always good policy to share that with them. Raise a tea cup with a spoonful of honey (or, well, as Pooh would put it, Hunny) to toast the beloved forest creatures! Honey also soothes a sore throat, which might feel great this flu season. Take one quality or way of being of Mr. Pooh’s and try to embody it on National Winnie the Pooh Day. See how it feels and if you’d like more of that in your life, consider ways to keep that teddy in mind on days when you’re being too much of a grown-up and are taking yourself too seriously. If you have any of the books at home, give yourself the gift of reading some pages for a few moments, either to yourself, your partner, your child, or your own Piglet best friend. If you don’t have any of the books on hand, go on Youtube and have one of books read to you Disney-style! Try https://www.youtube.com/watch?v=RE2QClKir1E or for the honey song: https://www.youtube.com/watch?v=-SwWL5xCzhM. Lastly, celebrate this day by conjuring up at least one childhood memory that was sweet and lovely like our Winnie. Even if just one short and isolated incident comes up, stay there for a moment and let your mind wander. You might notice some people, smells, thoughts or feelings that are comforting, delicious, and loving. Being an adult can be overwhelming at times—having our minds to enjoy some delicious memories can be a remedy as sweet as honey. This Friday, allow yourself to do that. Happy National Winnie-the-Pooh Day from WILA, where we always celebrate the inner child in our adults—but are especially thrilled to do so this Friday with our fellow Winnie fans out there!